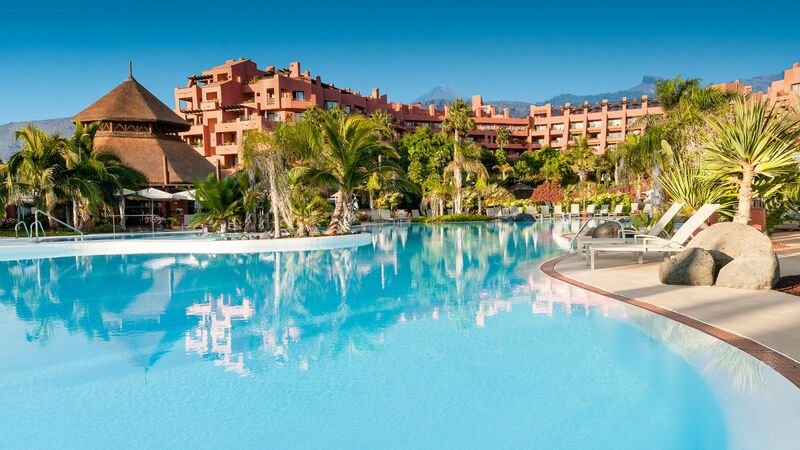 For a lively resort with amenities for visitors of all ages, choose a holiday in Costa Adeje. It's home to large swathes of golden sands, with a choice of watersports as well as restaurants, bars, and luxury hotels. For boutique hotels, rugged cliffs, and a sense of history Guia de Isora is perfect, while Puerto de la Cruz is home to the island’s iconic black sandy beaches. 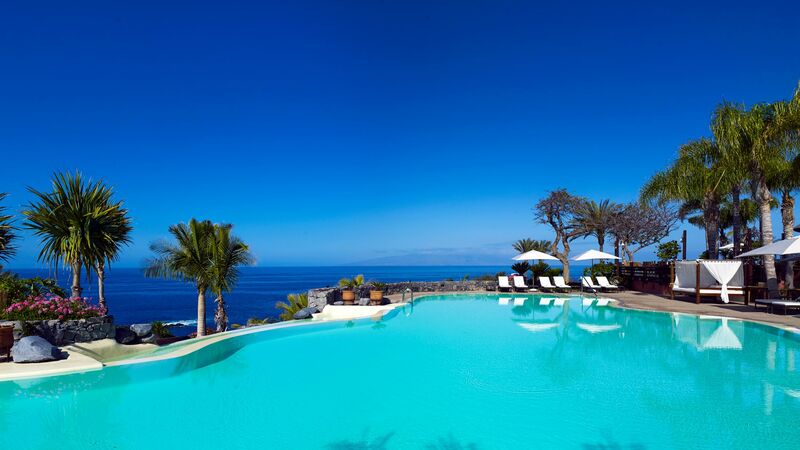 Book your luxury holidays in Tenerife and enjoy its many amenities. Choose from sprawling resorts full of large hotel complexes, restaurants, duty free shopping, and bars, or smaller towns located right on the beachfront. Golf courses are dotted throughout and provide you with spectacular views, as well as excellent club houses, while boat trips and whale watching tours are also available. Book with Sovereign and we’ll make sure you get the best from your holidays. Our expert Trusted Advisers are on hand to help you find the right hotel from our carefully selected collection. Families will love large complexes with child friendly menus, plenty of activities, and Kids’ Clubs. Adults can enjoy infinity pools, spas, and exquisite dining options, as well as bars with stunning views and a choice of cocktails and fine wines. Whatever you’re looking for, we’ll help you relax, unwind, and create memories to last a lifetime. Sovereign’s hotels offer everything from adventure pools to kids’ clubs, spa treatments and golf courses, so the whole family can enjoy their luxury holiday. Costa Adeje drapes itself over the sheer south-west coast of Tenerife. 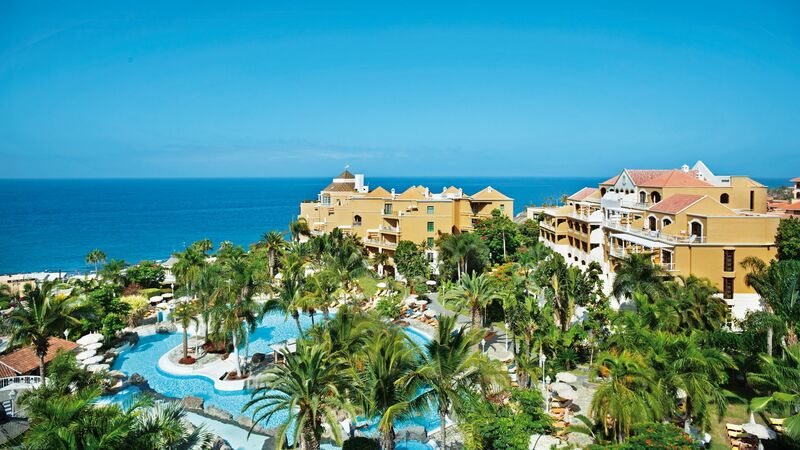 It’s the leisurely neighbour of Playa de las Americas, offering clifftop hotels above and petite sandy beaches below. Westerly Guia de Isora stretches from the inland town centre, with its whitewashed church and green-shuttered houses, to the beach-lined coast. It dishes up designer hotels along the way, too. 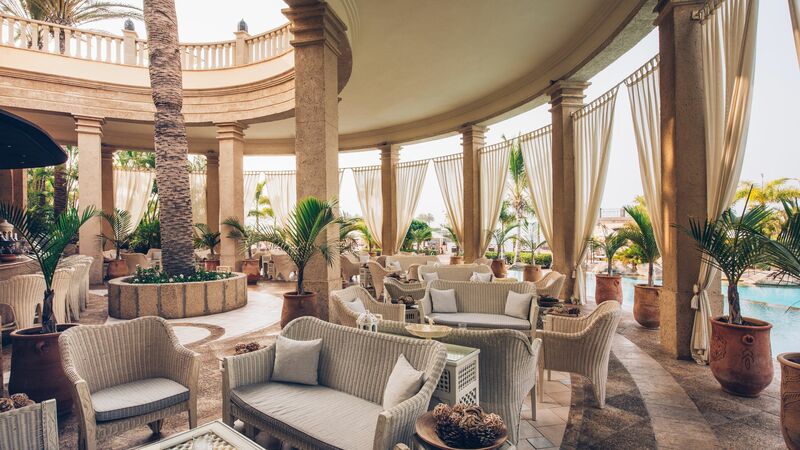 Follow the snaking coastline north from Costa Adeje, and you’ll stumble across Playa Paraiso – a collection of high-end hotels and cliffside bars arranged around deep-cut sandy bays. Puerto de la Cruz was once a retreat for well-heeled Victorians. 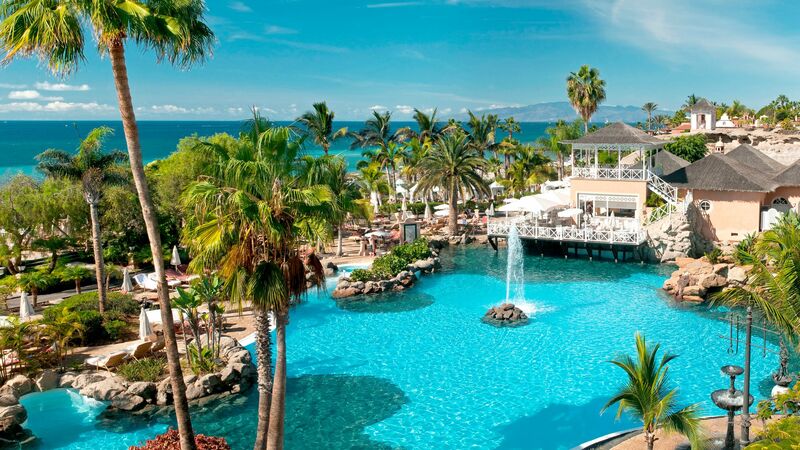 It still has a polished look, laying out a smart promenade alongside volcanic beaches. The tallest peak in Spain, Mount Teide, towers over Tenerife, and comes surrounded by a wild volcanic landscape. Take a cable car up to its highest point and you'll be treated to views over the island and across the water to neighbouring Gran Canaria and La Gomera. Even the drive up to the cable car is scenic. Rent a car to pick a route via little alpine towns like Vilaflor – an arrangement of typically Canarian houses and a church – and bizarre off-planet rock formations. TripAdvisor reviewers have voted Siam Park the best waterpark in the world. And it’s no wonder – this is one of the biggest waterparks in Europe, racking up everything from white-knuckle multi-riders and helter-skelters to swimming pools and sun terraces. Adrenaline junkies should check out the banana-shaped slopes of Kinnaree or the high-speed Mekong Rapids. You can also take the plunge on the zero gravity Dragon slide or the iconic nine-storey-high Tower of Power. Elsewhere, The Lost City serves up a dedicated splash area with waterfalls and miniature chutes for little children. The capital of Tenerife, Santa Cruz, is well worth a visit. You'll find handsome historic buildings, pastel-painted houses, and stacks of shops and restaurants. The Auditorio de Tenerife hosts musicals and gigs in its wave-like concert hall. Or you could always wander around the palm tree collections of the Palmetum of Santa Cruz de Tenerife botanical gardens. If you're visiting in February or March, you might be lucky enough to catch the colourful Carnival of Santa Cruz de Tenerife – the biggest fiesta in the Canary Islands. Tenerife’s cuisine has its roots in Spanish and Mediterranean cooking, with African and Latin American influences. Seafood lovers, be on the lookout for succulent giant prawns, mussels and octopus, as well as sardines generally baked or grilled and served simply with salt and lemon juice. If you want to try some real Tenerife dishes, look out for cabra con papas (goat stew with potatoes), vieja (parrotfish) and puchero, a mix of spicy chorizo, beans and potato. Why not try whale and dolphin watching? The clear waters off Los Gigantes are home to a variety of species of whales and dolphins - particularly bottlenose dolphins and pilot whales. Take a boat to go and try and spot them in their natural habitat. We can’t guarantee a sighting, but we know the odds are pretty good!